Invited To Shoot Clay Pigeons? 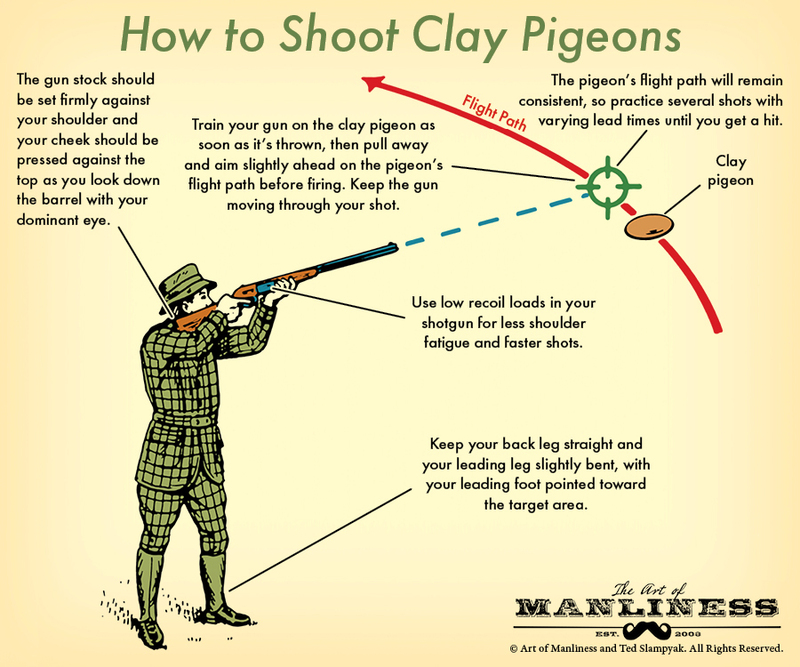 Home Newswire Invited To Shoot Clay Pigeons? Target shooting has been around for over 100 years. In its earliest forms, enthusiasts stuffed glass balls with feathers and then waited as their friends tossed them in the air to be blown apart mid-flight. Since then, it has evolved from a leisurely day of hunting practice to a highly competitive international sport. Unfortunately, the feather-filled balls are a thing of the past. Now, clay pigeons are the preferred target. Resembling a pigeon about as much as a cat resembles a TV, clay pigeons look more like thick little Frisbees than real birds. But that disc-like shape allows them to glide through the air quickly and consistently. If it’s your first time on the range, make sure to wear proper eye and ear protection, and take time to get familiar with the gun and its safety features before you load a round. Finally, before your first clay pigeon is thrown, figure out which of your eyes is dominant. Once you’re shooting, you’ll keep one eye closed while aiming. To determine your dominant eye, extend your arm and point, covering a distant object with the tip of your finger while keeping both eyes open. Keeping your finger over the object, close your left eye. If your finger continues to obscure the object, you are left-eye dominant. Otherwise, use your right eye to aim. Reprinted from The Art of Manliness.